Shanghai Trails Endurance Ride, AERC 50-mi & 25-mi, March 28-29, 2009. Hoofmanship - Maintenance Hoof Trimming for Horse Owners, Susanne Elmer, October 5, 2008. Foundation Horsemanship Classes with Julie Eskoff, September 20, 2008, Youth & Adult Classes. Student Horse Show,June 14, 2008: Showmanship, Western Pleasure, Western Horsemanship, Trail Classes and more, all riding levels, youth and adult. Horsemanship Classes with Julie Eskoff, May 3, 2008: Improve your ground handling and riding skills! Extended, Semi-private lessons! Youth & Adult Classes. Horsemanship Classes with Julie Eskoff, March 16, 2008. Youth and Adult Classes to improve ground handling and equitation skills. Novice Youth Practice Show, Saturday, June 23, 2007, judged by Brazoria Co 4-H Horse Judger. Showmanship, Western Riding, Western Horsemanship, Western Pleasure, and Trail classes for youth who have minimal or no show experience. Ribbons awarded to all participants. Seminar for Equestrian Instructors, Feb 22, 2007, presented by Darla Ryder, Region 8 Director, Certified Horsemanship Association (CHA). This is an all-day workshop for instructors to enhance teaching skills and improve management practices. Attendees earn certificate and continuing education units (CEUs) for those already CHA-certified. Practice/Schooling Show, 4-H Judgers, Dec 16, 2006: Classes in Halter, Mares & Geldings; Western Pleasure, Horsemanship, Trail. Riding Skills Workshops with Jerry Lee Sewell, Nov 11 & 12, 2006: Jerry Lee is a lifelong horseman who has competed and won in almost every western riding discipline as well as dressage. 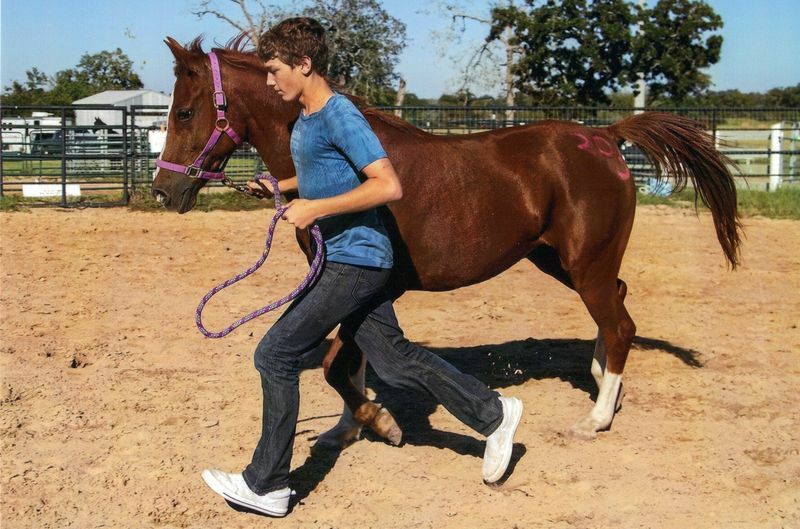 His philosophy of Humane Horsemanship (www.humanehorsemanship.com) is to understand and use the horse's mind and language to accomplish excellence in horse and rider. Riding Skills Workshop with Don Hutson, Sep 30, 2006: Techniques to improve horse's willingness and respect, how to do an "attitude check" on horse before mounting, how to communicate in "horse language." Mounted work to learn safety and control while riding in a group; negotiating trail obstacles, encountering spooky objects, and more. Natural Hoof Seminar: Naturhov, Arne Haugaard, Feb 18-20, 2006: A rare and special opportunity to learn from a European hoof specialist from Denmark, Scandinavia! This seminar is designed to introduce attendees to hoof care and the "Naturhof Natural Trim" (www.naturhov.dk). Mr. Arne Haugaard presents the information needed to decide if your horse should be barefoot, and demonstrates/instructs on how to do maintenance and routine trimming on the barefoot horse.